Many people wonder what characterizes a “holistic” or “biological” dentist. For the record, it is not an accredited specialty in dentistry. WHOLE BODY CONNECTION: They respect the intricate inter-relationship between the teeth, the mouth and the body. What we place in the mouth may have repercussions on other parts of the body. MERCURY: All biological dentists do not use mercury amalgam fillings, and remove these using strict precautions. Most tend to stay away from metals in general, including titanium implants. ROOT CANAL CONTROVETRSY: Since root canals are dead teeth and can never be 100% sterilized, they are aware of the controversy surrounding the whole-body toxicity effects of root canals. In fact, most biological dentists prefer to avoid root canals in general. “Whole-body approach: In my office specifically, we evaluate and treat every person individually. 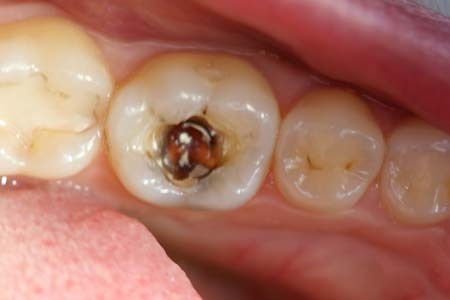 Restoring a tooth or a bite has to take into consideration not only materials, but gums, bite stability, airway, jaw-joints, skeletal and craniofacial aspects, tongue space, esthetics, basically a whole-body connection on the material, biological, cranial, physical and physiological levels. “Most patients nowadays have a long history of medical issues, chronic disease, poor dental work, failed childhood orthodontics, deeply ingrained fears, obscure facial pains, and chronic heavy metal toxicity. Their chronic problems will not resolve overnight, and may not resolve at all. The resolution of their dental issues, if they are contributing factors, may speed up their healing. For example, a patient with high blood pressure is found to have amalgam fillings, gum disease and a small jaw with worn-down teeth. His small jaw and constricted airway, coupled with the gum disease are more likely to cause a cardiovascular crisis and shorten his life span. Mercury-Free: We do not place silver amalgam fillings and we do respect the overwhelming scientific evidence accumulated over the last two decades, pointing to many alarming facts concerning the unsuitability of amalgams for use in humans. In many European countries, its use has been almost abolished, and moreover, banned for placement in pregnant women and children. In the US, there has been heightened consumer awareness and many patients are demanding full informed consent before having anything placed in their mouths. To find out more about mercury in amalgams, visit the IAOMT web site. Placement of a rubber dam, or in some cases, use of the IAOMT-approved “cleanup suction”. Using an electrical drill with less RPM, and following a sectioning method of amalgam removal to minimize mercury vaporization. Placement of moist napkins over the patient’s nose and eyes, and sometimes oxygen. 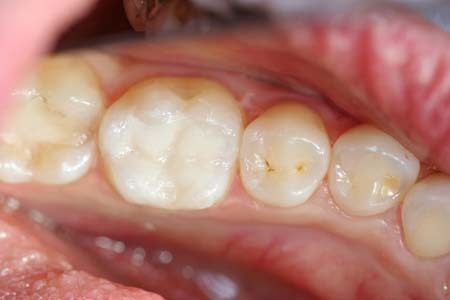 An extreme case demonstrating the possible effect of silver-mercury amalgam fillings is told by the mother of this 15-year old teenager in Dangerous Dental Amalgam Fillings.